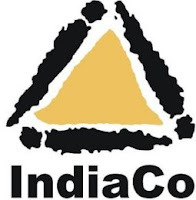 Indiaco Ventures has received an approval for 26% equity investment in Incucapital Advisors in pursuance of authority given by the board of directors of the company. With this investment in Incucapital, IndiaCo will be able to work through the startup to the development of growth life cycle of an enterprise. The board at its meeting held on January 05, 2012 has approved for the same. Incucapital is a startup platform across India that provides physical incubation and enables investment to startups/ early stage companies. Incucapital provides advisory, mentoring, consultancy and other services in all aspects relating to fund raising and business developments initiatives for startups as well as matured companies irrespective of what type of industry they belong to.